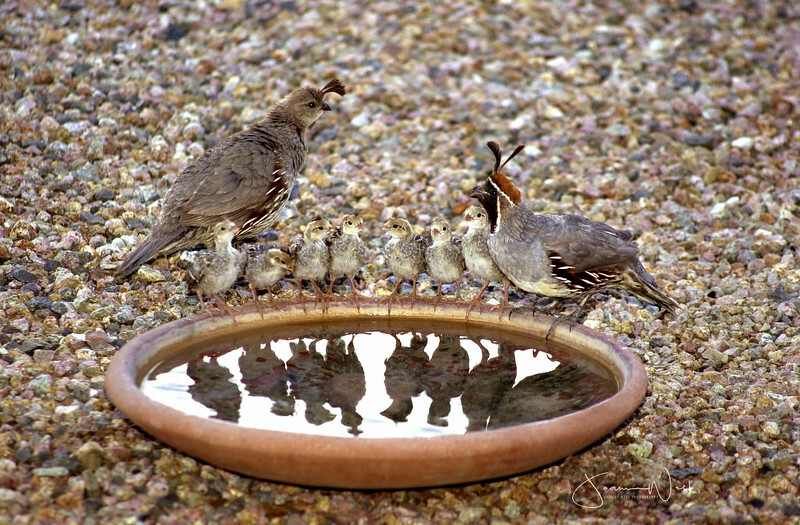 A friend insisted that I come take a photo of this daily lining up at her backyard water bowl before the Quail chicks got too old. I listened and to my surprise I was able to capture the line-up of 7 reflecting in the water thru her kitchen window. To this day I am grateful to her and the photo remains a top favorite especially popular at Mother's Day.